South Yorkshire Police have launched an investigation into an attack on a single-mother who was violently kicked by a gang of teenagers on her own porch. Anca Vacariu was left battered, bruised and afraid after the attack. After three days police finally announced they would be investigating the attack. 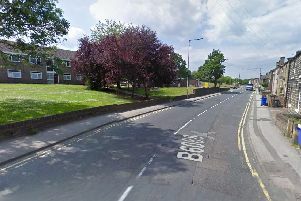 A spokesperson for South Yorkshire Police said: “Just before 11.40pm on Friday 15 March it is reported that a 34-year-old woman was assaulted outside of her home on Weston Road, Doncaster. “A group of youths are said to have become verbally aggressive towards the woman before assaulting her. She suffered injuries to her face which required hospital treatment. Ms Vacariu, who has two young children aged three and six, was fetching shampoo from the boot of her car when the gang of about 10 young thugs started screaming and swearing at her. After telling them to ‘keep it down as there are young kids sleeping’ the group of boys and girls became increasingly aggressive. Ms Vacariu, who was actually born in Romania, said they also pushed her to the ground and kicked her in the head and eye while encouraging each other and laughing. She heard them leaving and saw a black SUV pick up three of the children and speed away. She said: “My six year old son cried when he saw what they had done to me, I had to lie and tell him it was a work accident as I don’t want him to be afraid, he’s already scared for me. If you have information relating to the incident call 101 quoting reference number 14/47674/19.